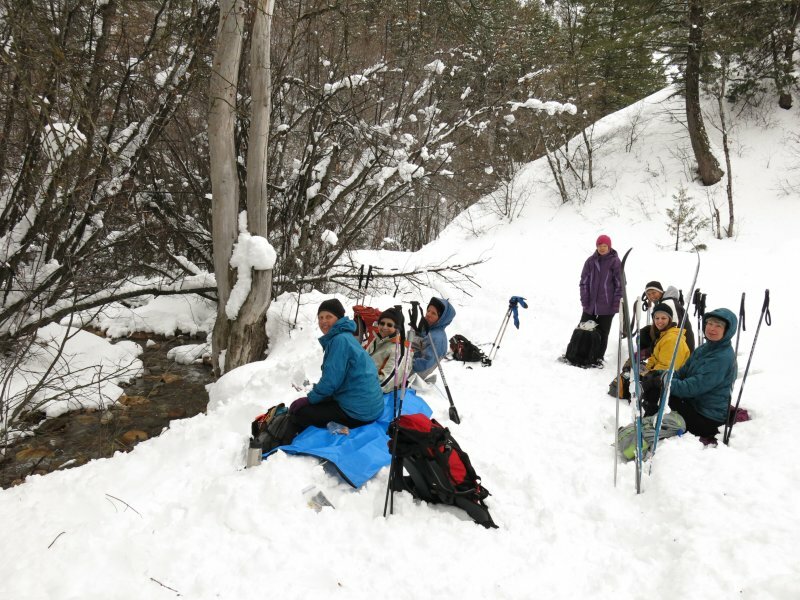 Eight Cache Hikers enjoyed the freshly-fallen snow of Smithfield Canyon on this excursion. Christine, Jeanne, Joe, Terry, Jane, Dave W. and Stephanie G. joined our leader, Betty, as we toured along Summit Creek. 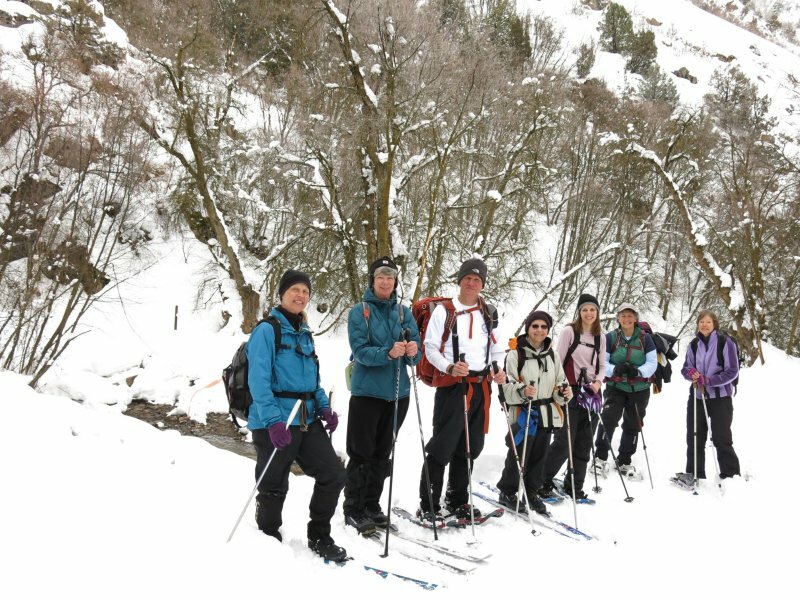 Christine, Dave, Jane and Betty were on cross-country skis and the others used snowshoes. We organized into carpools in Logan and stopped to pick up Betty in Smithfield along the way. 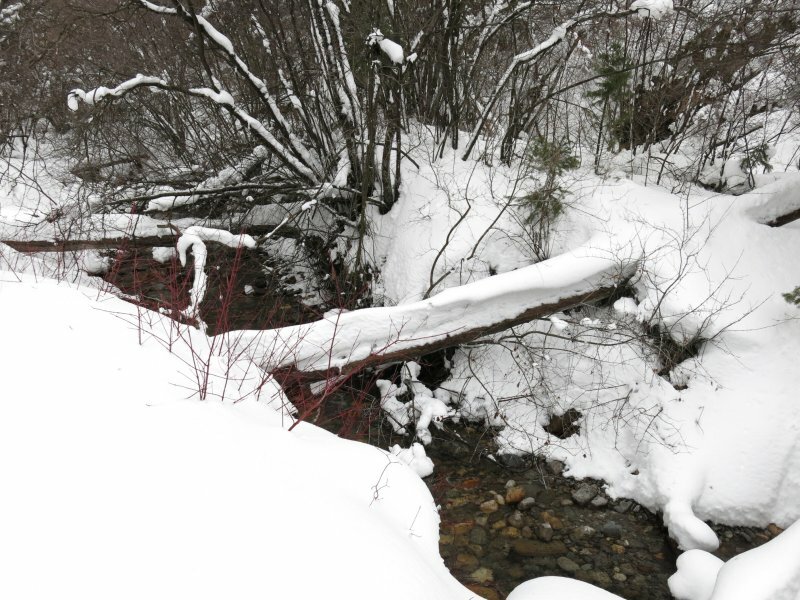 The deep snow obliged us to park at the end of the plowed road, about 3/4 mile short of our usual parking area near the forest boundary. Several days of cold snowy weather left a foot of new snow, but warmer temperatures the night before changed the powder snow into something more like mashed potatoes. Snow rollers and animal tracks provided interest along the way as we broke trail on our way to a lunch spot near the creek. Big clumps of wet snow stuck to the bottom of our skis as we went up the trail, but we were rewarded with an easy glide much of the way back down. The snowshoers made better progress, too, in part because we had managed to resolve some equipment problems on the way up. 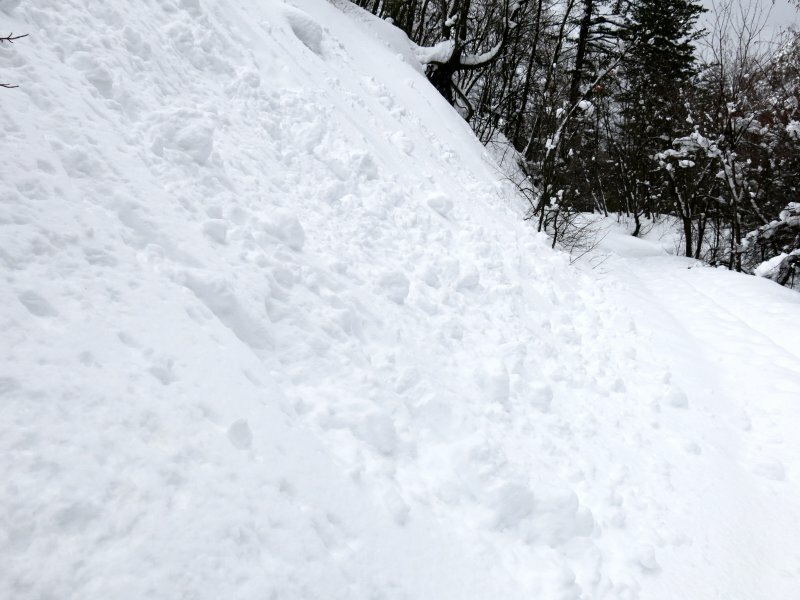 We also encountered several other snowshoers as they took advantage of our newly packed track. Someone had managed to drive a vehicle up to the parking area bear the forest boundary while we were on the trail. We didn't see what it was, but it looked like they had dragged something heavy to pack the snow. Lunch at the "Creekside Cafe"
Our GPS track showed 3.6 miles round trip and 460 feet of elevation gain.